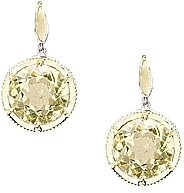 These exquisite earrings embody simply luxury. 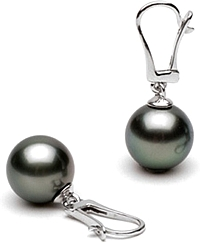 A large, flawlessly round black Tahitian pearl dangles elegantly from French lever-backs, giving the pearl a swaying movement and reflecting the light in its gleaming dark surface. 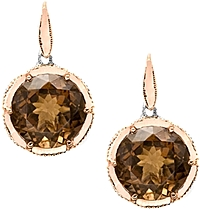 Made with our lustrous and exotic Tahitians, these exquisite earrings feature 9.0-10.0mm AAA quality pearls with a natural dark bodycolor and deep peacock overtones. The pearls have a rich, reflective shine and a beautiful smooth surface. 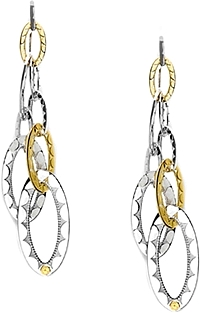 The goldwork is finely crafted with a smooth, sleek design in solid 14 karat gold.